I suspect she probably knows whereof she speaks. The answer to those questions is, in my opinion, a most definite yes. I’ll grant you: these books aren’t All Quiet on the Western Front, but neither are we talking Twilight here–not by a long shot. Although of an entirely different genre and level of discourse than another war-trilogy-turned-blockbuster, Lord of the Rings, I give Collins credit: she’s not as far off from the latter as some cognoscenti of good taste might have you believe. As punishment for having tried once to rebel against the Capitol, every year each District must send one boy and one girl between the ages of twelve and eighteen (called “tributes”) to the Capitol to participate in “The Hunger Games,” a nationally-televised extravaganza in which the twenty-four young people are placed in an elaborate “arena” that is a huge, hellish world of its own, to fight to the death until one “Victor” emerges to claim eternal fame and glory (well, sort of, more on that next post). Think of it as something like Nero playing Vegas. The story revolves around the two tributes from District Twelve, the coal-mining district located in the area of the current Appalachia: Katniss Everdeen (played in the film version by the ever-complicated Jennifer Lawrence) and Peeta Mellark (played by the ever-boy-next-door Josh Hutcherson). They are joined in their adventures by Katniss’ best friend from childhood, Gale Hawthorne (played by the ever-luscious Liam Hemsworth) and their alcoholic “mentor,” the District 12 Victor from the games of twenty-five years earlier, Haymitch Abernathy (played by the ever-degenerate–ever-lush?–Woody Harrelson), along with a cast of attractive young co-tributes who range from the clueless to the sociopathic. 1. I have only read the three books and have not seen the current movie. Both my daughters have seen it and rave appropriately thereabout. From what I can gather from comments on the Net, however–and my daughters agree–this is a movie best seen after you have read the book, just as were the Harry Potter movies. Unlike those movies, which could not give full expression to the complex details of the books, The Hunger Games as a movie cannot give full expression to the complex thoughts and emotions of Katniss, which truly are the core of the books’ depths. b. If you start out with twenty-four teens and only one is to live, lots of people are going to die. QED: some of the more nasty antagonists whom you might or might not want to see die, do so (see 2(a) if you have doubts). 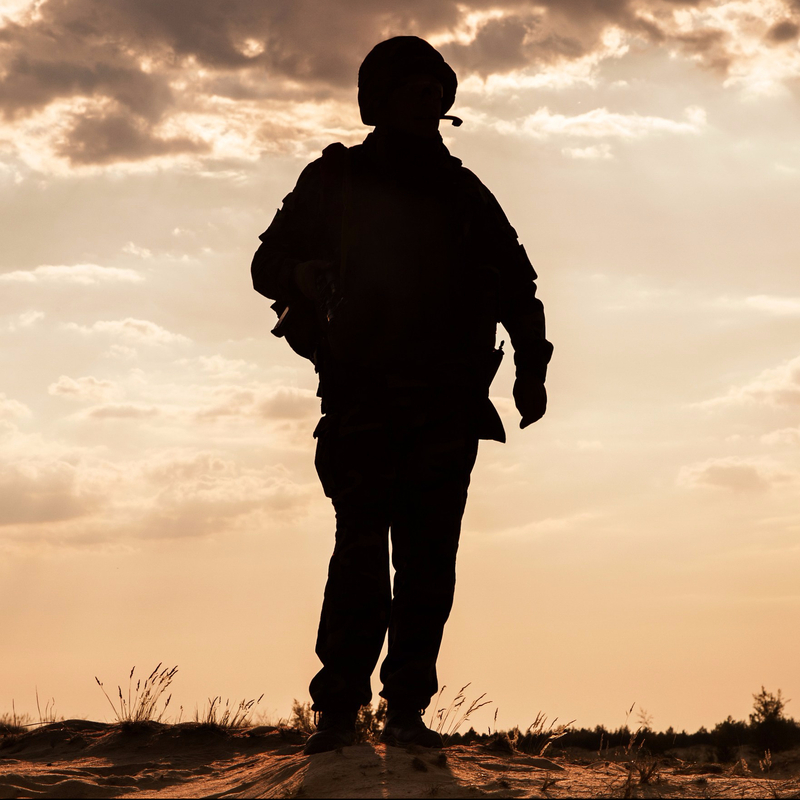 Given all that, what can we possibly say about the books that can be relevant to the sufferings of the real men and women who return from real combat? In fact, some very profound things. I’ll give the “non-spoiler” thoughts today and the “spoiler” thoughts in a later post. 1. The emotions of combat are ever-shifting, ever-confusing, and, in a real way, everlasting. As readers/observers, we will either feel them–or we will do what we can to avoid them. There is no other choice. Collins does, in my opinion, a superior job of portraying the emotional roller coaster of Katniss at all stages of the narrative, as well as giving the reader a good sense of the emotional roller coasters of all the other characters, even when they are seen through the quite-shifting, quite-confusing gaze of our heroine. I suspect it might be possible to leave the movie with a certain sense of “is that all?”, given the quite grotesque nature of the underlying premise. One viewer might be insulted by the banalization of the suffering and the injustice. Another viewer might be bored by the rapidity of the character development and the confusing nature of the oh-so-Twilight-looking love triangle (if that’s what you can call the Katniss-Peeta-Gale axis). Good for them. In the books, however, I would dare you as a reader to avoid the tributes’ feelings of horror and confusion. Collins writes in an excellent, plot-driven, young-adult-novel style, with a lot of action and chapter-turning tension, especially in the first two books. (My personal favorite, though, is the third, as I’ll explain next time.) You will feel the terror, the anger, the deadly moments of hesitation. My younger daughter, in fact, is still trying to decide if she wants to get beyond the opening chapter or two of the second book, for “I just don’t want everything to hurt like that again.” She is an astute reader. Nicole is therefore right, in my opinion, when she argues that the books will give readers a unique opportunity to “feel” combat and PTSD. But be aware: the books are not being talked about much like that, and most readers with whom I speak get caught up in the action and don’t even dare take time to realize what the cumulative effect of the horrors are doing to themselves. In the Iliad, the king of the Greeks, Agamemnon, takes without any just cause the slave-lover of Achilles, Briseis. It is an act of blatant dishonor, truly betraying the loyalty that Achilles had, to that point, shown the king. In Shay’s view, this betrayal, this misbehavior by a superior set in motion the anger and the sense of injustice that eventually exploded into Achilles’ rage and murderous destruction after he learned of the death of his best friend in battle, Patroklos. Like Shay, I too have found that many combat veterans who struggle with PTSD struggle in an important way with some sense that “this should never have happened.” In other words, if others had been doing their job, especially those in the chain of command, a friend might still be alive, an innocent civilian might not have been harmed, a devastating injury might have been avoided. The veteran is almost always furious at the omission or the indifference of the superior or the persons who “said they were going to be there”and moreover furious not only with the one who failed, but also furious with themselves–and with Fate/God/whatever–that nothing could have changed that. It makes no sense to feel the latter, but betrayal and guilt never do. Throughout the three books the main characters have to deal with subterfuge, betrayal, reversals of statements made, half-truths. They themselves have to participate in just such activities again and again, sometimes for reasons they are proud to defend, sometimes for reasons that they hope no one will discover. Sometimes deception saves lives. Sometimes it destroys them. Death in the midst of lies or in the midst of incompetence always comes back to haunt. Katniss and her friends find this out, just as has every combat veteran who has doubled up in the most helpless, the most intense of rage, somewhere on a battlefield. 3. When you watch the life ebb out of your enemy’s eyes, hear the wails of his or her family, he or she is no longer your enemy. In the first book, Katniss’ actions directly lead to the deaths of four of the six “Careers,” tributes who come from Districts closely allied with the Capitol, who pride themselves on their warrior natures: the girl tribute from Four, both tributes from One, and the boy tribute–the ultimate antagonist–from Two. Both girl tributes die because of a clever plan on Katniss’ part. The girl from Four dies off stage. Glimmer, however, the girl from One and probably the most visible female antagonist, dies a horrific death right in front of Katniss, crying out for help from allies who are no longer to be found, screaming from horrors both in her mind and on her body. Although Katniss is not at all afraid to take what she needs from the dead girl, she is also horrified by what she has seen happen in front of her, haunted by the memory of the beautiful girl who once had been. She kills the boy from One in her very own Achilles-Patroklos moment. Consequently she is not, shall we say, particularly interested in his humanity at the moment. Her realization of his humanity comes only much later, at a celebration of all things–a celebration, that is, unless you are the family of the boy, who only then does Katniss learn has a name: Marvel. It is the death of Cato, though, the tribute from Two, enraged, heartless, conniving Cato, that haunts her forever. The movie spares the audience the worst of the scene. The book is not so forgiving. Cato was ready to kill Peeta, almost did so once before. He would have killed Katniss in an instant. Yet anyone who has read the book will never forget the final exchange between Cato and Katniss, when even his humanity finds it way into her soul. No one, even Cato, should come to the point of death like that, have to depend on Katniss the killer. Katniss the merciful. Remember the veteran of The Killing Floor? Remember his looking to his right, shooting the man whom he saw only once, yet who now visits him every day? The Iraqi pointing the gun was without a history, without connections. Yet in his witnessed death, one caused by my veteran patient, he became a son again, most likely a lover, perhaps even a father. As long as the enemy is an anonymous District number, a hadji, a goon, you can move on to the next one, the next. But as Lt. Colonel Dave Grossman reminds us in his book, On Killing, we are not a species born to kill one another. When our “prey,” our enemy becomes human, so do we. Ask many a combat veteran who screams in the night, wondering during the day whether he or she deserves that “human” categorization. I still find myself debating whether to recommend these books to combat veterans. They are relentless. Yet because of the final pages of the final book, I do wonder whether the pain might be worth it. But to consider that, we’re going to have to move on to the Spoiler Edition. Even without having read the books or seen the movie this is really right on. I am a cold war vet, but not a combat vet. Yet, there are other experiences in my life that confirm what you have written here and in other entries.. Thank you for expanding on the topic and for your in-depth analysis. You mentioned so many points in the article that I kept saying “Yes!” out loud as I read it. I’m currently reading On Killing, so I took special note of that in your article as well. On the discussion about if combat veterans should read the books, I would not recommend it. As I said before and you brought up as well, the books are fictional, but they have real topics. The way that the arcs of the storyline play out slowly but decisively, I feel could trigger a veteran with PTSD. If a combat veteran is interested in the books, I would definitely point them to your article for more information. But I would recommend it to family members and friends who could benefit from learning some of the lessons and maybe understand their veteran a little bit better. Thanks again! Reblogged this on Mdovale444's Blog. @Ptsd444: @RodDeaton1 I am Not a Vet, but a PTSD mom having found my 25 year old daughter brutally stabbed to death. I’ve read the Hunger Games Trilogy and found myself drowning with empathy for the players, very hard to put the book down and feeling like I needed more when it ended. The story is amazing! I was able to relate with the characters as if it were my life. I saw myself clearly in them and it was an awakening. Thank you for a very good, interesting article re: PTSD and Hunger Games.